The Dakhleh Oasis Project is a long-term holistic investigation of the evolution of human populations in the changing environmental conditions of this isolated region in the Western Desert of Egypt. The Project began in 1978 and has combined survey and excavation to collect an extensive range of geological, environmental and archaeological data which covers the last 350,000 years of human occupation. 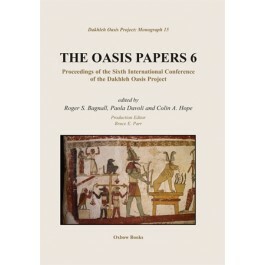 This latest volume in the Monograph series publishing the results of the Project contains 41 papers with a wealth of new research and significant discoveries, from Prehistory, through Pharaonic and Roman times to the Christian period.